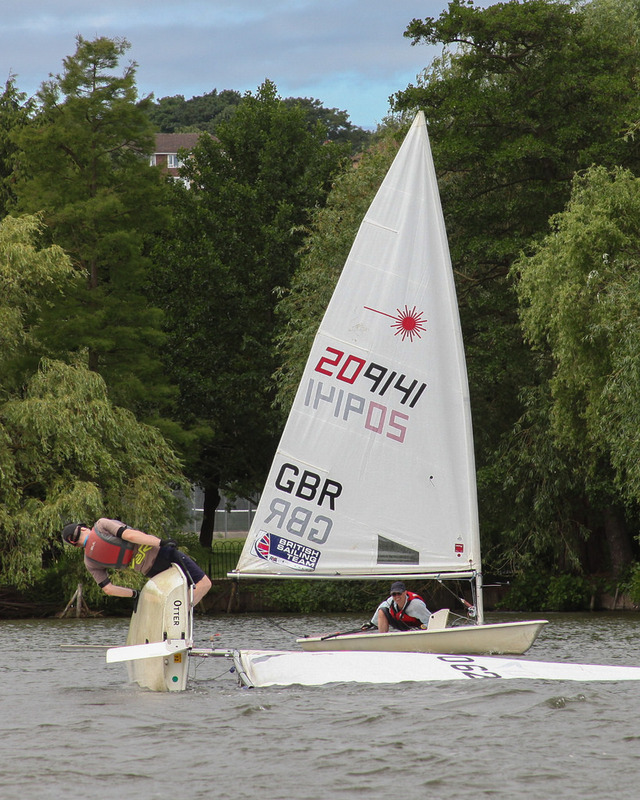 Only 9 intrepid boats ventured out into the Force 4- 5 winds with gusts to Force 6 that caused many a capsize. 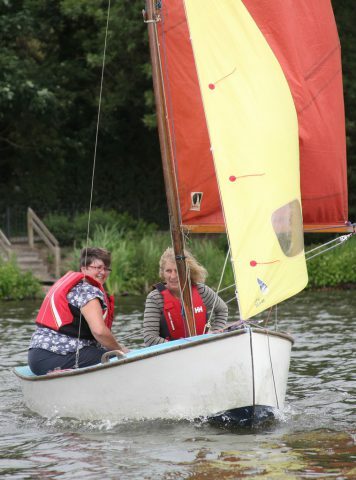 The heron dinghy may be old but its stable. 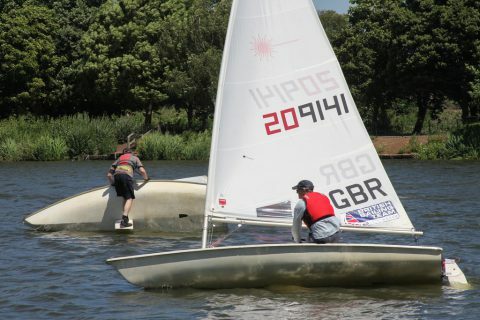 The lasers, having a larger sail area, took many a capsize but our sailing secretary didn’t get wet unlike a new member who survived at least 6 wet capsizes – trying to get to grips with his laser – a big change from picos in which he trained for RYA level 2 last year ” Yes, but I am having a great time out here today “. 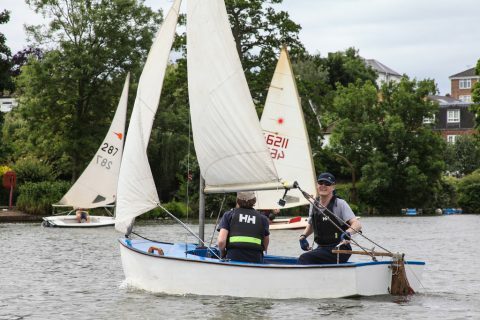 Racing has become popular this summer with newly trained members having a go, so the club is currently trialling 3 races each week to cope with demand, but yesterday there was a lower than usual turn out due to the strong gusts pushing across the lake and swirling around the north perimeter where most capsizes took place. 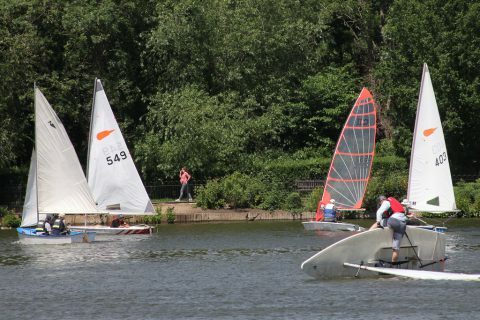 Thanks to Phil (professional photographer) for taking these action shots to record the spectacle. 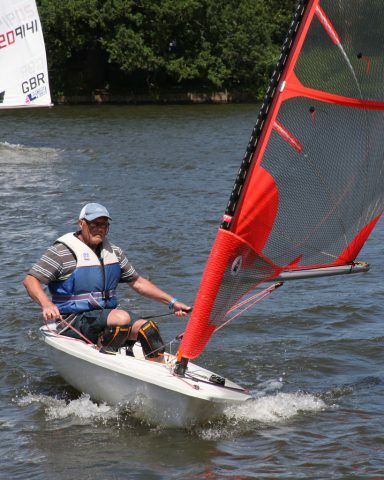 The winner of the first race in his Byte CII stayed out of the water, finding the sport enjoyable but exhausting.